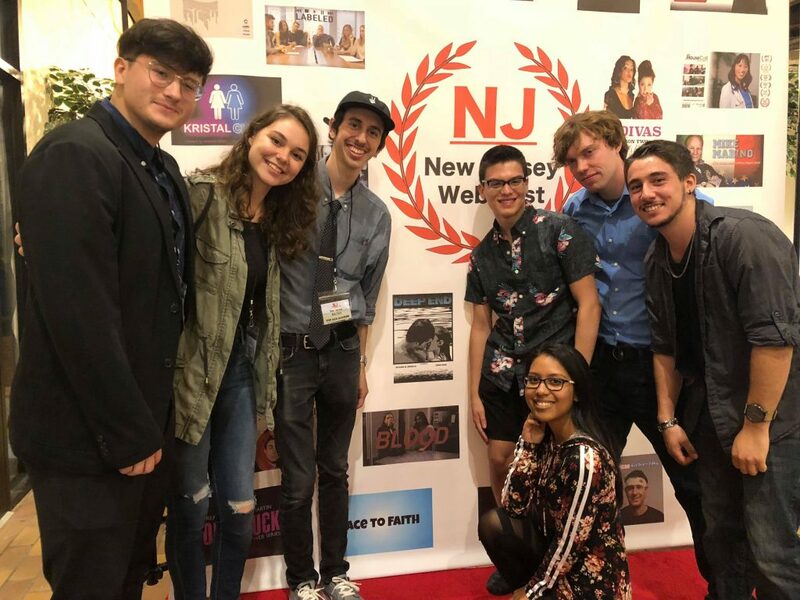 Students of the Web Series Production class at the New Jersey Web Festival in Montclair earlier this semester. 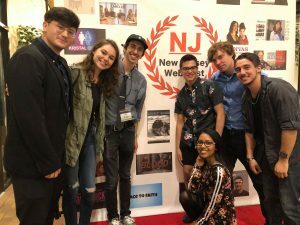 MAHWAH, N.J. – “Deep End,” an original 5-episode Web Series written and produced by Ramapo College film students, garnered the top award for Best Editing at the New Jersey Web Festival, held earlier this semester. “Deep End” bested 14 competitors in the category to earn the honor. Professor Kelly Dolak, who teaches Web Series Production in the College’s School of Contemporary Arts, served as Executive Producer. Dolak said one major logistical and creative challenge to filming “Deep End” was that students needed to obtain permission to hire lifeguards for the pool scenes. “They also incorporated underwater photography which became an important visual language for the story,” she added. “Deep End” is a story of a talented college student who is offered the life-changing opportunity to study abroad. She must decide whether to embark on this journey or give up her dream in order to save her relationship. The decision gets harder when her boyfriend’s possessiveness reaches an all-time high. “Deep End” screened at the Clairidge Theater in Montclair, N.J., and was also nominated for Outstanding Drama Series and Outstanding Drama Series. According to Dolak, the festival programmer said he was “stunned” to find out that the series is a student-made production.